A sofa is quite possibly one of the biggest furniture investments you’ll ever make. 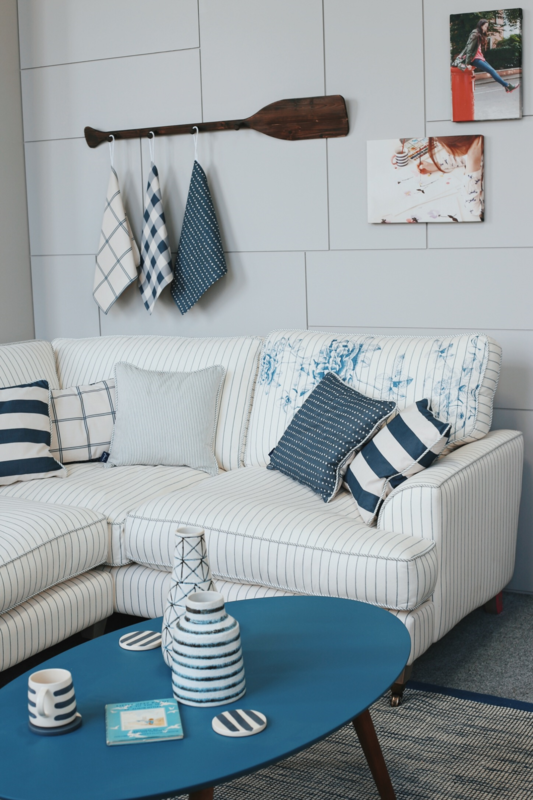 Unlike clothes shopping, buying a sofa involves a lot of sitting down trying to decide what style to go for without having to compromise on style or comfort. 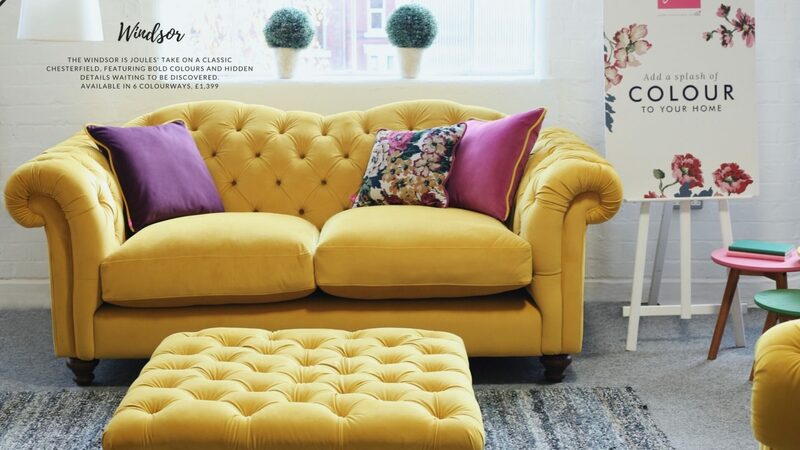 The collection, available exclusively at DFS, features a range of country, coastal and floral sofas, armchairs and footstools. Each piece has been designed to embody the quality, attention to details and distinctive hand-drawn prints for which Joules is known for. 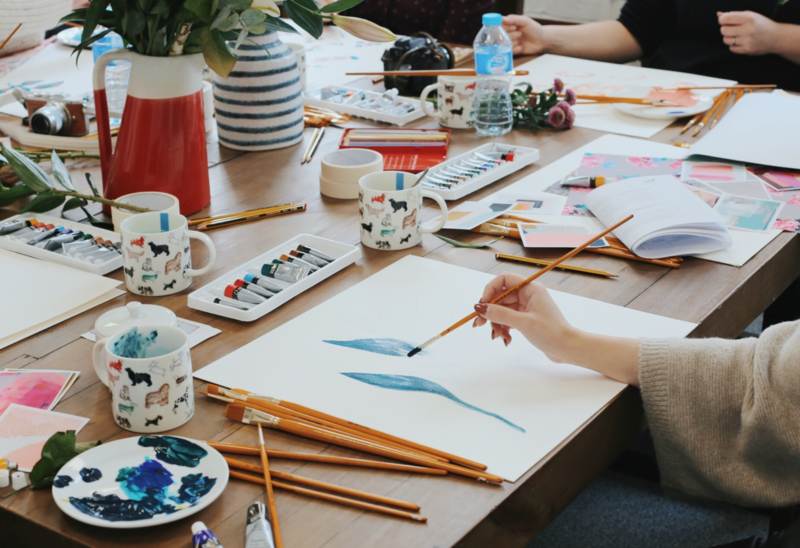 Designed by DFS’s Design Director, Philip Watkin and Joules’ Head of Concept, Laura Douglas, each piece is handmade to order right here in Britain. 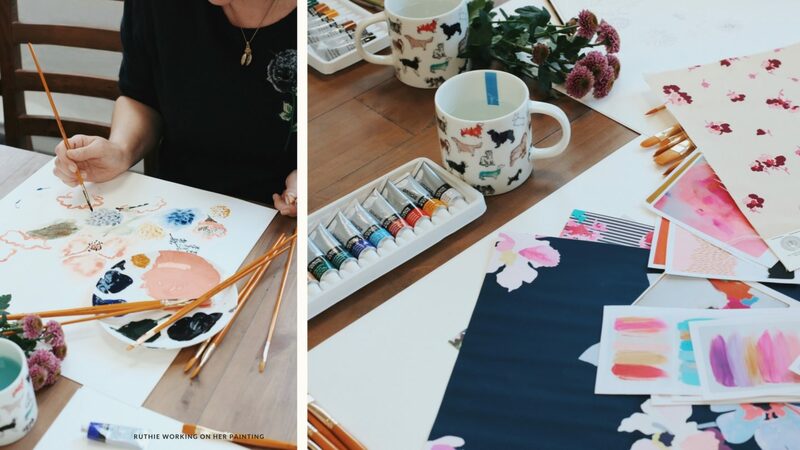 Ahead of its official launch, I was invited on a tour of the DFS design studio where I had a chance to learn more about the brand’s history and the craftsmanship that goes into making a piece of furniture. 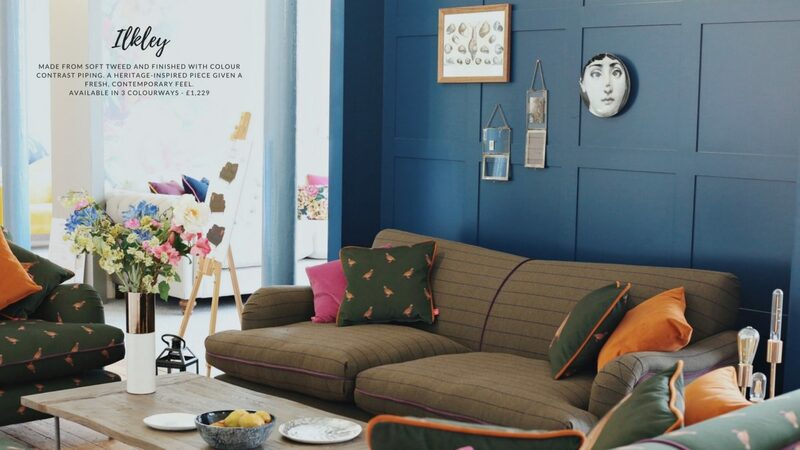 Little did I know that all DFS sofas (including the Joules collection) are handmade to order at their workshops in Derbyshire, Nottinghamshire and Yorkshire by a fantastic team of skilled craftspeople using fabrics from local mills. 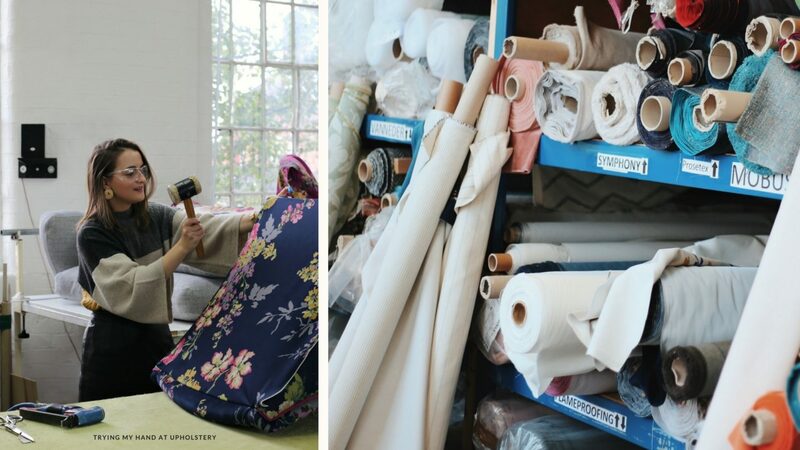 We then tried our hands at upholstery – with a little (read big) help from the DFS experts. It’s incredible to see how much time and effort goes into each piece of DFS furniture! Each piece is available in 3 or more colourways and feature all the little details and twists Joules is renowned for, such as their hare motif, hidden prints and the option of colour pop legs. At first I fall in love with Windsor – there’s something so grand and luxurious about this Chesterfield sofa. 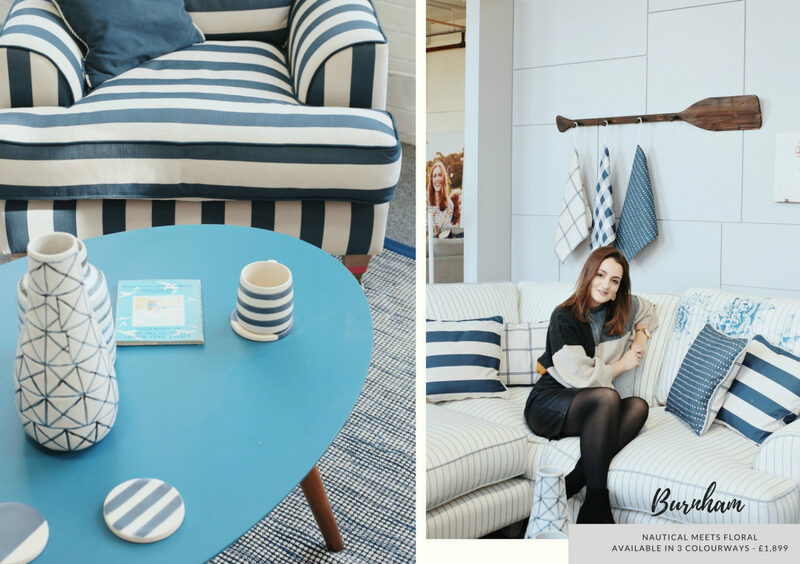 Equally as beautiful and timeless is the coastal themed Burnham, which I’m considering buying for our lounge. The vibrant Cambridge makes the perfect bold statement piece against neutral decor, whilst Ilkley is a simple yet stylish design that will stand the test of time. I’d love to know your favourite! 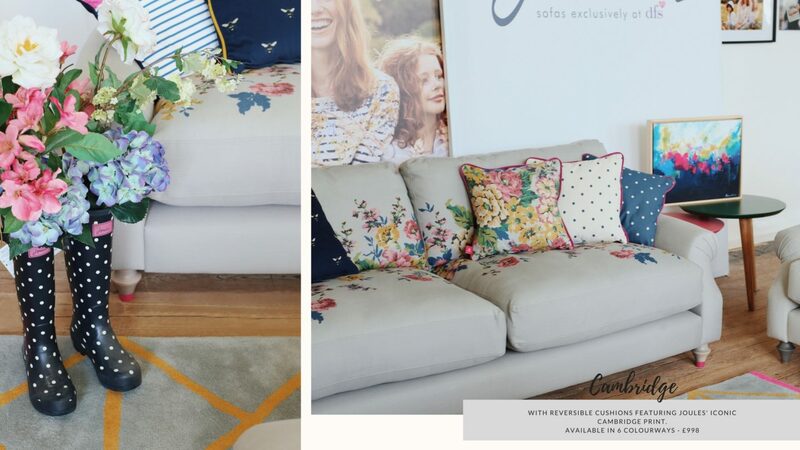 With sofas priced from £998, the Joules collection is available in selected DFS stores and online now. A special thank you to DFS and Joules for organizing this trip for us! Sponsored post. All views are my own.